Dealing with the cleanup after a tough winter, or wanting your property to look a little bit nicer for the upcoming patio season, a pressure washing might be in the works for you. Here at Fredericksburg Pressure Washing, we have been the premier option for all of your pressure washing needs for more than a decade. No matter if you are looking for residential pressure washing, commercial pressure washing or industrial pressure washing, our team is the right team for the job. Here are just a few of the great services we are proud to offer the great people of Fredericksburg, VA.
As one of the true leaders within the residential pressure washing niche, the team at Fredericksburg Pressure Washing has quickly become one of the most in-demand companies in Fredericksburg, VA. We want to work with you to ensure your property will become spick and span by the time we are done with your property! Plus, with our ability to work on houses, sidewalks, and driveways, the team at Fredericksburg Pressure Washing is the only team you need to call when you are looking for residential pressure washing. 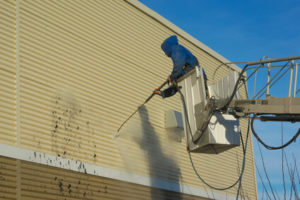 Commercial properties need the special treatment, and here at Fredericksburg Pressure Washing, we go the extra mile to ensure your property is treated the way it should be. With our team, you will be able to let us do the dirty work, and ensure that your property is one of the cleanest in the city. Our team will work with you to ensure that our work does not interfere with your regular business day, and by the time we are done, you will be thanking the team at Fredericksburg Pressure Washing for their professionalism on your property. We specialise in parking lots, sidewalks, buildings and restaurant kitchens, and no matter the job, our team is the right team for your job. When it comes to your industrial pressure washing choices in Fredericksburg, VA, the options are slightly limited. However, if you are looking for quality and truly amazing industrial pressure washing, those who know, know to trust the true experts at Fredericksburg Pressure Washing. We have been working with many of our industrial clients for more than a decade, and our commitment to the craft cannot be beaten. When you consider our team is one of the only in the state that can handle both farm and industrial properties, it is quickly evident why so many in Fredericksburg utilise our services. From farm equipment to industrial suppliers, the team at Fredericksburg Pressure Washing is here to help! Now is the time to call the team at Fredericksburg Pressure Washing for all of your pressure washing needs. 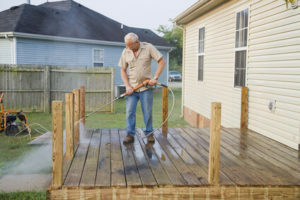 From our residential pressure washing services that help in the home, to our commercial pressure washing services that service your work, and even our industrial pressure washing that assists farmers and industrial sites, you should know that Fredericksburg Pressure Washing is the team to call for all of your pressure washing.